London: John Lane, the Bodley Head, 1907 ... in which is set forth an exact account of the manner of State held by Madam Venus, Goddess and Meretrix, under the famous Horselberg, and containing the Adventures of Tannjauser in that Place, his Repentance, his Journeying to Rome and Return to the Loving Mountain. Hand numbered limited edition No. 226 /300 copies printed on hand-made papaer. Includes original publisher's prospectus loosely inserted. Small loss to head of spine.. First Edition. Hardcover. Good/No Jacket, as Issued. Illus. by Aubrey Beardsley. 4to - over 9¾" - 12" tall. London: for Private Circulation, 1907. First edition, No. 102 of 250 on hand-made paper. 88 pp. 1 vols. 4to. Gray boards, rebacked, else fine copy. Beardsley, Aubrey. First edition, No. 102 of 250 on hand-made paper. 88 pp. 1 vols. 4to. THE STORY OF VENUS AND TANNHAUSER In Which is Set Forth an Exact Account of the Manner of State Held By Madam Venus, Goddess and Meretrix, Under the Famous Horselberg, and Containing the Adventures of Tannhauser in That Place, Etc..
London: Privately Printed, 1907. LIMITED EDITION. Hard Cover. Very Good++/No Dust Jacket. Quarto. Limited to 300 copies on handmade paper. This is No. 186. A very good++ copy bound in gray paper boards with expert repair to spine and new endpapers. In customer made clam shell case. 88 pp. The author's first and only book. NY: Privately printed, 1927. Elliott, Bertram R.. 4to, pp. 93. Illustrated by Bertram R. Elliott. One of 750 copies. Black paper over boards, with yellow cloth spine. Very small tear at bottom of p. 89,spine slightly soiled, o/w a nice copy in publisher's cardboard folder. Samuels-Lasner 151F (Issued by N. L. Brown, with 16 illust.). New York, 1927. Limited Edition. Near fine in 1/4 gold and black cloth covered boards with black text stamped on the spine with rough cut edging. The text block is composed of hand made paper from France. Without a dust jacket but contained within a fair, paper covered slip case which has started to part at its lower edges. This copy is identified on the colophon as number 423 of only 750 copies printed and issued privately for subscribers only. 93 numbered pages of text with six full page illustrations and ten headpieces designed by Bertram R. Elliott. 2010-05-22. New. Ships with Tracking Number! INTERNATIONAL WORLDWIDE Shipping available. Buy with confidence, excellent customer service! New York: Issued Privately for Subscribers Only, 1927. No. 523 of 750 copies. Illustrated. 93 pp. 1 vols. 4to. 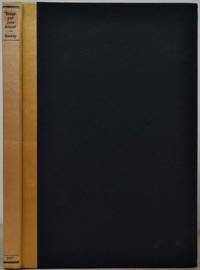 Gold cloth-acked black boards. Spine slightly soiled, else About Fine. No. 523 of 750 copies. Illustrated. 93 pp. 1 vols. 4to. 2010-05-22. Good. Ships with Tracking Number! INTERNATIONAL WORLDWIDE Shipping available. May not contain Access Codes or Supplements. May be ex-library. Shipping & Handling by region. Buy with confidence, excellent customer service! London: Privately Printed, 1907. First printing from the original manuscrpt. No. 125 of 300 copies. 88pp. 1 vols. 4to (approx. 8 x 10.5 inches). Paper covered boards, paper label on front, spine lacking, covers and edges browned else very good. Caricature bookplate. First printing from the original manuscrpt. No. 125 of 300 copies. 88pp. 1 vols. 4to (approx. 8 x 10.5 inches). Printed for private circulation, London, 1907, limited edition, copy number 214 of 250, on hand-made paper,. 1907. 1st Edition. Hardcover. 1st edition, hardback, 4to, 88pp, text clean and sound, front inner hinge cracked and free endpaper removed, paper-cpvered boards, paper rippled on rear coverwith slight staining, corners bumped and scuffed, Good condition . New York: Issued Privately for Subscribers Only, 1927. Book. Very good condition. Hardcover. First thus edition. Quarto (4to). 93 pages of text. Hand-numbered 15 of 750 printed on hand made paper. 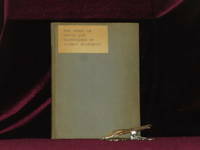 Black paper covered boards (hardcover), with a yellow cloth spine. Minimal shelfwear; protected in custom stiff archival mylar. The original slipcase is worn, cracked and missing the top panel. Illustrated with six plates and ten headpieces by Bertram R. Elliott. Title continues "...his Journeying to Rome and Return to the Loving Mountain. A Romantic Novel. Now first printed here from the Original Manuscript." Fine & Small Press Publications.. 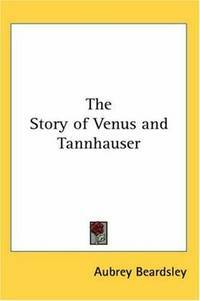 The Story of Venus and Tannhauser. A RomanticNovel. Now first printed from the Original Manuscript. London. ForPrivate Circulation. 1907.. Hardcover. Book sm4to. 25cm, 88p., limited edition of 250numbered copies, this being #96, on hand-made paper, in the original greypaper over boards with paper label on the upper cover, rebacked with newpaper label on the spine, some slight soiling on the boards else verygood internally fine copy. (Lt) Subtitled. "in which is set forth anexact account of the manner of State held by Madam Venus, Goddess andMeretrix, under the famous Horestberg, and containing the Adventures ofTannhauser in that Place, his Repentance, his Journeying to Rome andReturn to the Loving Mountain." A complete transcript of the whole ofBeardsley's manuscript, a portion of which had appeared with the title"Under the Hill". .
Beardsley, Aubrey. Illustrated by Bertram R. Elliott. New York, Issued Privately for Subscribers, 1927.. One of 750 numbered copies. Cloth spine and paper boards with paper spine label lettered in gilt, uncut, 93,  pp., six full-page illustrations and ten headpieces by Elliott. Spine beautifully repaired to resemble original. Very good. 2013-08-07. Good. Ships with Tracking Number! INTERNATIONAL WORLDWIDE Shipping available. May not contain Access Codes or Supplements. May be ex-library. Shipping & Handling by region. Buy with confidence, excellent customer service!